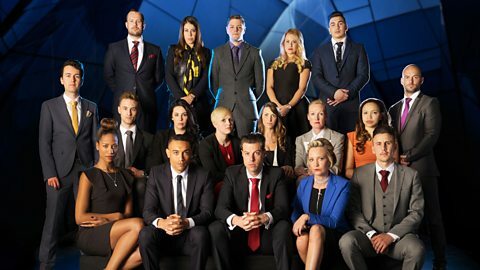 I have to say I have high hopes for this series, particularly since Nick Hewer’s eyebrow raise has been replaced by Claude Littner’s scathing brand of management training. But, year upon year, the candidates seem to be more media-savvy and more desperate for a job in TV whilst demonstrating an ego which would make Kanye West look shy and retiring. That ego is usually combined with the worst the British Education System has to offer, that is zero general knowledge, a complete absence of people skills and absolutely no street smarts. The fact that they are actually there to sell their business plans seems to be forgotten. This, of course, is the joy of the programme. We love to sit in our armchairs, tutting and muttering. We criticize their lack of business acumen. We practically combust with laughter at their arrogance. We, of course, can spot a basic business error from 20 paces and become expert negotiators even if we would struggle to take a pair of socks back to Marks & Spencer. And those quotes. Oh, those quotes. Here’s a quick trip down memory lane – can you remember any of these judged by www.myvouchercodes.co.uk to be the top ten best / worst quotes from The Apprentice? This list certainly contains some cringe-worthy reminders of old favourites such as Luisa Zissman and Katie Hopkins. I’d also include this classic from the late Stuart Baggs (who sadly recently passed away) – “everything I touch turns to sold” and this, from this year’s David Stevenson – “you’ve got age and beauty and those two go hand in hand all the time. Sugar’s got the age and I certainly am beautiful”. Currently there appears to be an unladylike spat going on between candidates Selina Waterman-Smith and Charleine Wain which has, it is rumored, culminated in a ‘scuffle’ outside the boardroom. This may be a little bit of PR to oil the wheels of a series which, so far, has been a little ‘same old, same old’ but, if true, shows just how desperate some candidates are to secure their 15 minutes of fame. The sad truth, of course, as anyone who has worked in a corporate environment will tell you, is that personalities like these do indeed often rise to the top, by dint of ruthless ambition rather than concrete talent. There are many David Brents in waiting it seems. But, the prize here is to be Sir Alan’s business partner and, one suspects, no amount of hot air, waffle and posturing will pull the wool over his eyes. I can’t wait for the legendary “interview” episode and I wonder who will replace Claude in the interviewing panel. Whoever it is, I’ll bet they won’t be a soft touch and will bring the candidates back to earth – with a bump. I’m also enjoying Jack Dee on the sister show “The Apprentice – You’ve Been Fired”, although I think he could be a little more of the sardonic Jack we’re all used to. Roll on Wednesday at 9 pm! "My Sunday Photo – 25/10/2015"